The books listed below are required. 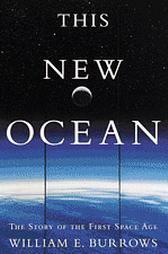 William E. Burrows, This New Ocean: The Story of the First Space Age (New York: Random House, 1999). Howard E. McCurdy, Space and the American Imagination, 2nd ed. (Baltimore, Md. : Johns Hopkins University Press, 2011).